Caree is a South Coast 36. The hull was believed to be moulded in 1979 with work continuing till launch in 1982. 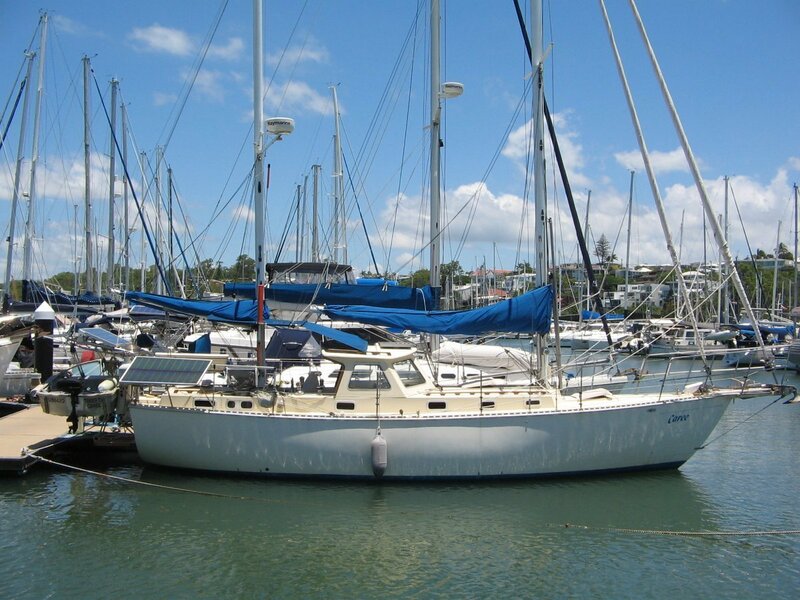 The hull was purchased by a employee of South Coast Yachts Australia, who completed her to a fine standard. It is unsure when the deck was cast as early South Coast 36’s had aft cockpits unlike Caree’s centre cockpit. Details are very sketchy but it seems that South Coast Yachts manufactured the hull and decks and they were then sold to boatyards and private builders to complete to their own design, resulting in a very diverse cabin layout. Caree was finished along the lines of others with a large aft cabin and a forward ‘V’ berth. Caree differs from the norm in that she has 2 heads, an ensuite in the aft cabin and a second head forward of the saloon. A large percentage of South Coast 36’s are ketch rigged including Caree. She is nicely overpowered with a 54 horsepower Yanmah featuring a 4 bladed variable pitch propeller.